Nail Wheel Wednesday is taking a well-deserved Christmas break but will return in 2012. Today I've got the next installment of my Top 20 list, the Shimmer Division. Estee Lauder Ultra Violet is a returnee from last year. It's purple and pretty, and I like the luxe bottle. Chanel Paradoxal is also coming back for another year. I consider it the shimmer version of China Glaze Channelesque; an un-boring neutral. 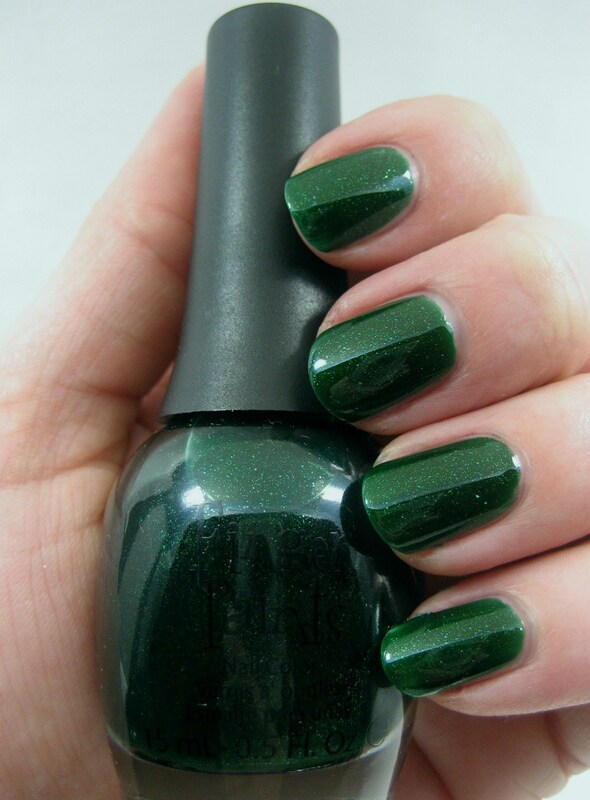 Finger Paints Mistletoe Mischief came out last Christmas and is my favorite deep green shimmer. So nice and squishy! Cult Nails Let Me Fly is another new addition to the list. It's a wonderfully murky turquoise. Tune in tomorrow for Part 4, the Glitter Division. They're all so pretty! 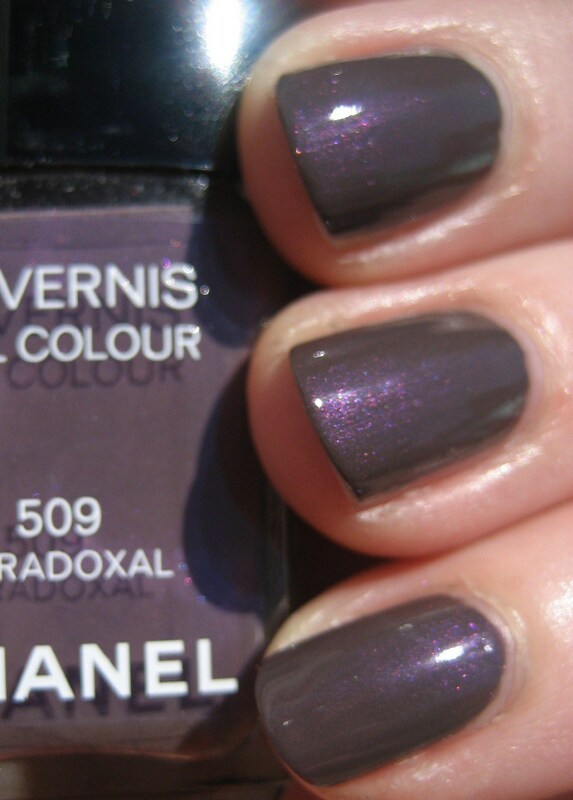 I especially love the purple shimmer of the chanel! Great choices! I have on Let Me Fly right now. It's amazing. Even better with the layer of Clairvoyant that I added. 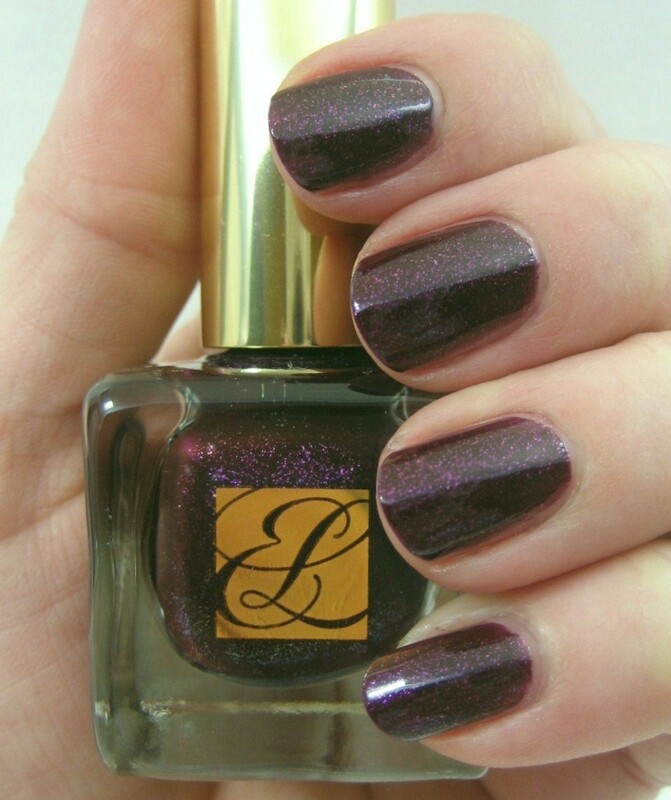 Estee Lauder Ultra Violet looks very pretty! Beautiful! I'm considering dividing my top polishes into divisions since I'm having a reeeally hard time narrowing it down! Beautiful colors. I like the Estee Lauder the best. I like that glittery green polish - you're right, it's so squishy!! And the EL violet is awesome. Love those Estee Lauder bottles-so freakin pretty! So many beautiful colors! Why pick I just want them all!